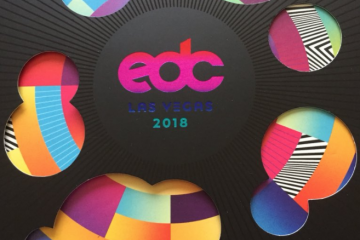 For those looking for a way to fill holes in your EDC App schedule, don’t stress over the main stages and art cars on the list too hard– this is primarily because of the Uber sick and recently announced Corona Electric Beach stage, set for all three days. The stage will be headlined by none other than Mija, SayMyName, JayCeeOh. The lineup doesn’t relent from there, as it also features skilled DJs and tastemakers such as Yahtzel, Bones, Rell The Soundbender, Sam F, Nukid, Strange Club, and more. We’ve seen this stage in all its sand and mini pool glory at Nocturnal Wonderland and HARD Summer, and while smaller than what we’re used to, the space is well utilized and makes for a great time when packed. 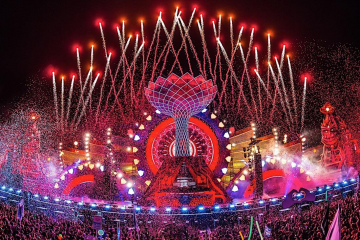 We imagine this is going to be double downed on at EDC this year and with a lineup like this, we know it’ll make for plenty of great memories. And yes, they’ll have beach sand, a huge pool, and plenty of Coronas for all headliners. Must be 21+ to drink but anyone may enter! We’re going to be throwing this on Snapchat for sure this weekend. If you have an artist you want a snippet of, send us a Snap @Global_Dance or Tweet us @GlobalDanceElec.